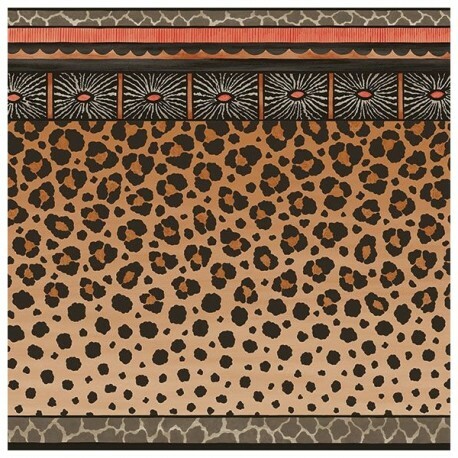 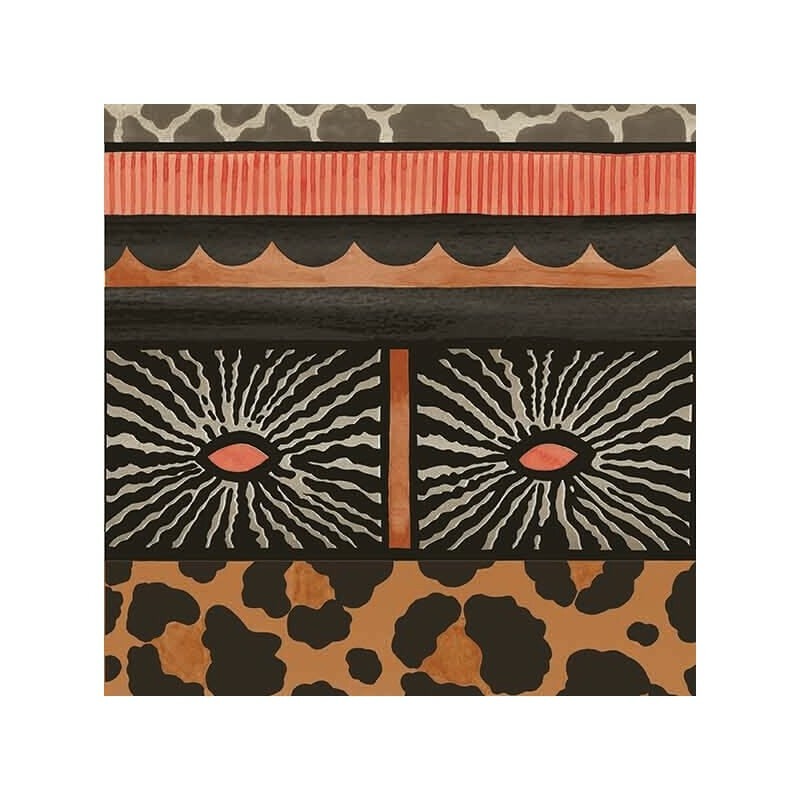 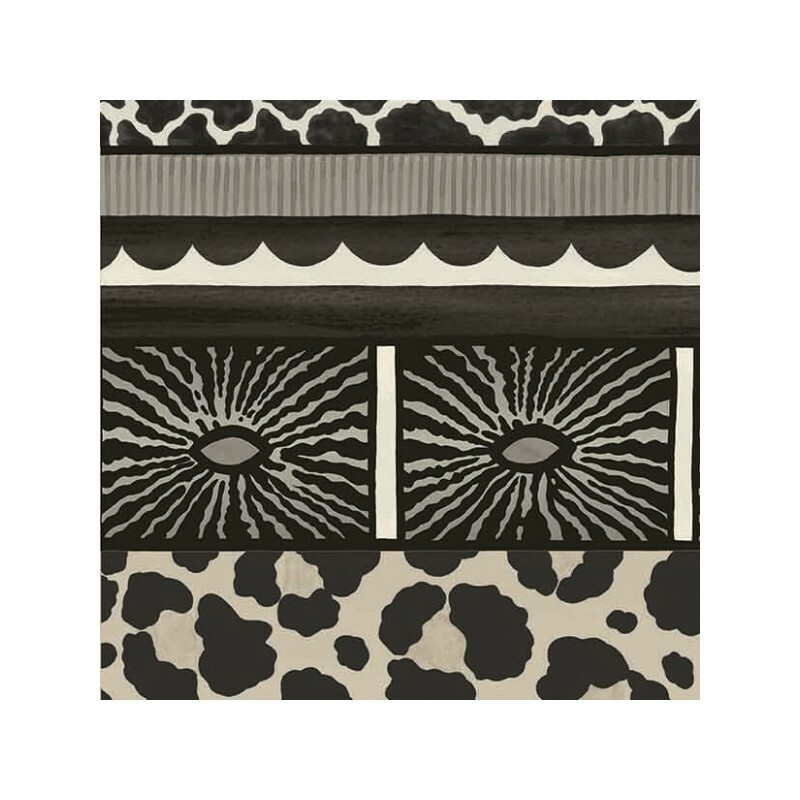 Inspired by the pedestal base of a ceramic vase, this striking leopard spot border design has been created to be hung horizontally around the base of a wall but as a further option it can be hung vertically as a reverse match to create a dramatic and opulent wide graduated stripe. 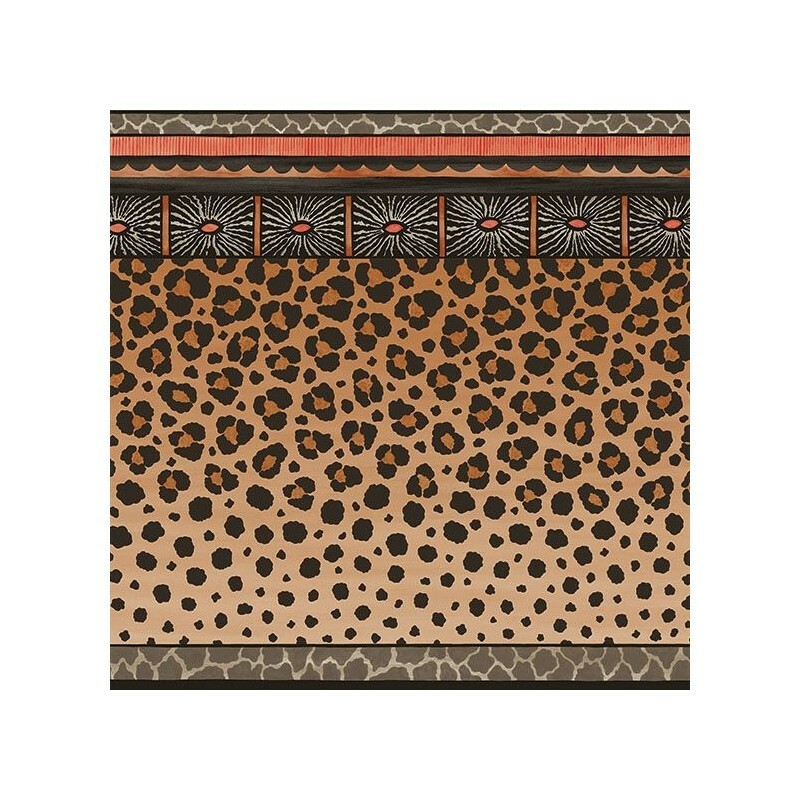 Inspired by the pedestal base of a ceramic vase, this striking leopard spot border design has been created to be hung horizontally around the base of a wall but as a further option it can be hung vertically as a reverse match to create a dramatic and opulent wide graduated stripe. 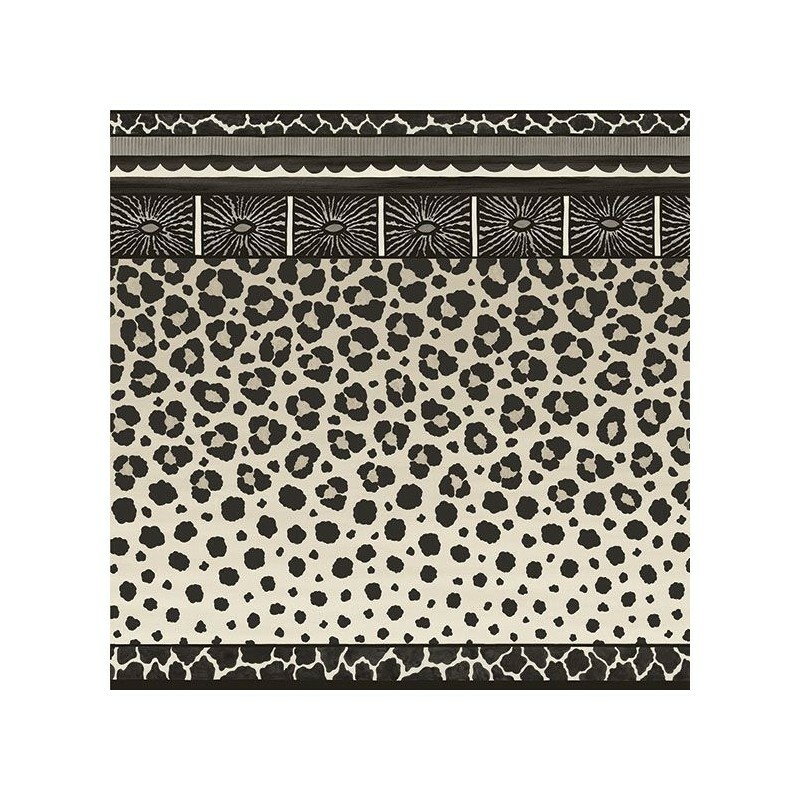 Featuring an ornamental ‘moulded’ edge atop a softly graduated band of leopard spot markings, this border design will be a striking addition to any interior. 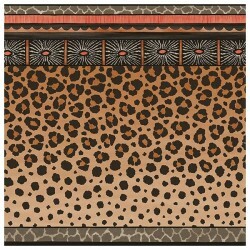 At 70cm high, it is sold on a ten metre roll.